AGENCY FOR TOXIC SUBSTANCES & DISEASE REGISTRY – Agency for Toxic Substances and Disease Registry (ATSDR), based in Atlanta, Georgia, is a federal public health agency of the U.S. Department of Health and Human Services. ATSDR serves the public by using the best science, taking responsive public health actions, and providing trusted health information to prevent harmful exposures and diseases related to toxic substances. 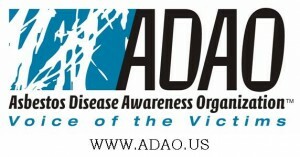 ASBESTOS DISEASE AWARENESS ORGANIZATION (ADAO) –The Asbestos Disease Awareness Organization (ADAO) is the largest independent asbestos victims’ organization in the U.S. It was founded in 2004 to give asbestos victims and concerned citizens a united voice, to raise public awareness about the dangers of asbestos exposure and to work towards a global asbestos ban. ADAO is dedicated to preventing consumer, environmental and occupational asbestos-caused diseases through national and international education, advocacy, and community initiatives. 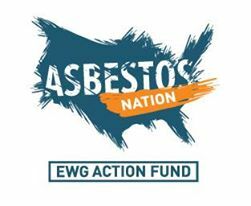 ASBESTOS NATION CAMPAIGN – The mission of the Asbestos Nation campaign is to educate and mobilize Americans about the ongoing dangers of asbestos, one of the most hazardous chemicals in the world. Asbestos is still legal, lethal and found almost everywhere — homes, schools, shipyards and buildings across the country. It continues to kill at least 10,000 Americans every year, including those exposed outside of the workplace. In fact, in the last decade 8 million pounds of the deadly substance have flowed into US ports and made its way into communities across the country. MAYO CLINIC – Mayo Clinic is a not-for-profit medical practice and medical research group based in Rochester, Minnesota. It is the first and largest integrated not-for-profit medical group practice in the world, employing more than 3,800 physicians and scientists and 50,900 allied health staff. The practice specializes in treating difficult cases through tertiary care. The Mayo Clinic’s mission is to inspire hope and contribute to health and well-being by providing the best care to every patient through integrated clinical practice, education and research. THE MESO FOUNDATION – The Meso Foundation (formerly MARF) is the only non-profit organization dedicated to ending mesothelioma and the suffering caused by it, by funding research, providing education and support for patients and their families, and by advocating for federal funding of mesothelioma research. NATIONAL CANCER INSTITUTE AT THE NATIONAL INSTITUTES OF HEALTH – The National Cancer Institute (NCI) is part of the National Institutes of Health (NIH), which is one of 11 agencies that compose the Department of Health and Human Services (HHS). The NCI, established under the National Cancer Institute Act of 1937, is the Federal Government’s principal agency for cancer research and training. UNIVERSITY OF CHICAGO MEDICINE – For more than 25 years, the University of Chicago Medicine Comprehensive Cancer Center has been a pioneer in the treatment and research of malignant mesothelioma. The University’s multidisciplinary team of mesothelioma experts offers the full range of tailored treatment options, from surgery and chemotherapy, to radiation therapy and clinical trials of promising new treatments. Thanks to this focused expertise, their mesothelioma program is one of the largest in the United States and cares for patients from throughout the greater Midwest.